Children’s Chapel this week, February 12th, is based on our fourth source of Unitarian Universalism: Jewish and Christian teachings which call us to respond to God’s love by loving our neighbors as ourselves, or in child-friendly language: Christian and Jewish teachings which tell us to love all others as we love ourselves. We have been informed that Vantage House would prefer we not bring snacks due to multiple dietary restrictions. We are welcoming children who would love to perform instead of sing with the group. Please let us know if your child would like to perform, no longer than 2-3 minutes, please. Please remind your OWL students to go directly to class and not enter the Sanctuary! Classes will run through April 2nd. Kindergarten and First Grade 9:00-10:00 am, Fourth and Fifth Grade 11:00 am-12:30 pm. All other RE Classes continue with their typical schedules. 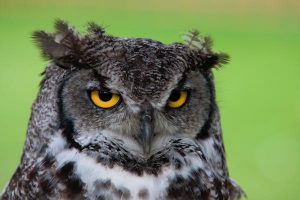 Adult OWL Orientation on Wednesday, February 22nd, 7:00-9:00 pm in Sanctuary A.Classes held Saturday mornings, 9:00 am to 1:00 pm, March 4, March 11, March 18, March 25, and April 1. Facilitated by Steve Parr, Regina Verow, and Robin Slaw.